Morgan Myers is tired. So damn tired. Most people either push her around or brush her off, and she's not putting up with it anymore. 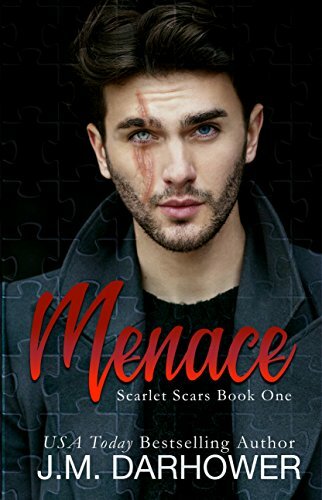 Determined to reclaim the life that had been stolen from her, she puts her trust in the last person she ever expected to: the notorious Scar. Morgan sees a side of him that few people seem to know--the man, not the myth. Lorenzo. And what she sees, she likes, a lot more than she thought she would. But fairy tales aren't real, as life likes to remind her. Some dragons, you just can't slay, no matter how hard you fight them. And when hers comes back around, breathing fire, she's forced to face some unimaginable horrors. But lucky for Morgan, there's a white knight in combat boots out there that isn't afraid of monsters. You see, it's impossible to be afraid of something you face every day in the mirror. Where do I begin? JM Darhower is AMAZING!!!! I devour EVERY work she write. I process every word she writes. This series is EPIC.... You have to ONE CLICK it!!!! Lorenzo was introduced to us in Targets on our Backs. Lorenzo is feared. He is feared for what he is capable of. People fear him because of his looks, hence the nickname SCAR. But that doesn't stop Morgan when the two of them meet at a local bar. When Morgan decided to pick pocket Lorenzo, she had no clue who he was or what she was getting herself into. Morgan has a past. A past that she is running from. The way JM Darhower delivers this story, will have you turning the pages to see what happens next. And let me tell you, the bomb she drops at the end of Menace, will have your jaw on the floor. Thank the Lord that I didn't have to wait long to get my hands on Grievous. The books were released very close to each other, so we got to continue with Lorenzo and Morgan's story. 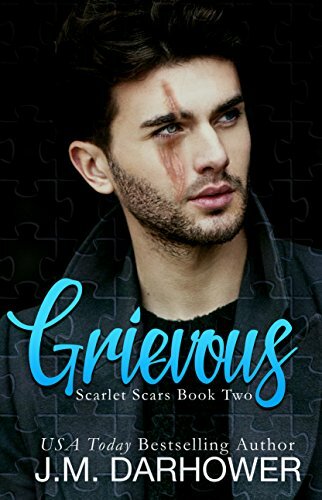 Grievous is book two in the series that will take you on a complete rollercoaster. Lorenzo NEVER feels. He refused to feel, he refused to become attached to anyone. The only person that he truly loves is his younger brother, who he has raised since he was a young boy. As Lorenzo continues to protect Morgan, she begins to chip away the hard exterior around his heart. Morgan makes Lorenzo begin to FEEL. I loved seeing Lorenzo evolve. Both Morgan and Lorenzo deserved to be happy. But sometimes in life, you have to fight for it. Morgan is on a mission to find someone. While doing this, her life is in danger. What will Lorenzo do?How far will Lorenzo go for Morgan? JM Darhower is one of my go to authors. Every word she writes is amazing. If you want a great MOB read, then she is the author to one click. This series is EPIC. I absolutely LOVED these books.